By Natalie on 10/20/15 • Leave a comment! 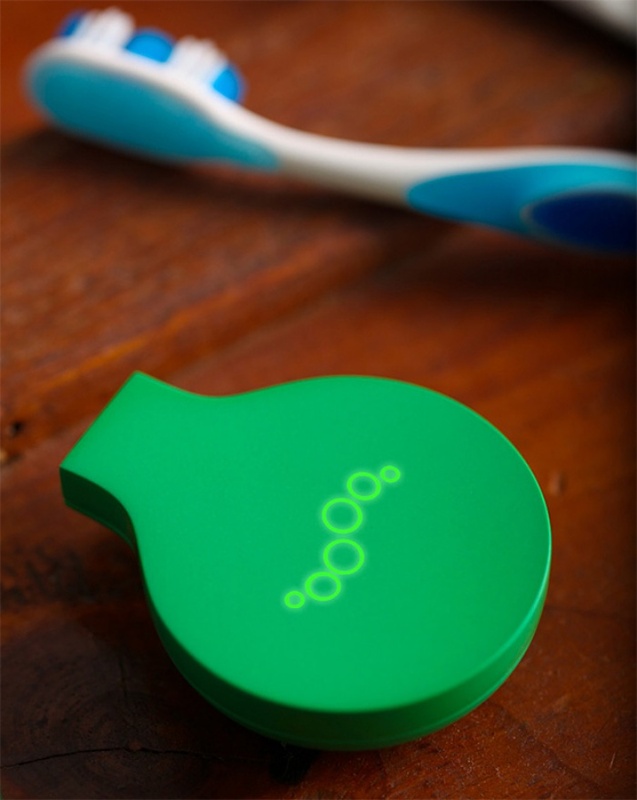 Replace your keys with a smartphone app. August is a company that manufactures smart locks for keeping your home secure with a simple tap of your smartphone. Its co-founders, Yves Behar and Jason Johnson, have the aim of allowing you to keep your home as safe and secure as possible, all in a simple way. Keep your doors locked with smart technology. The Smart Lock works with both iOS and Android, with the newest option working with the iPhone via its Siri voice assistant. This particular Smart Lock is known as the Homekit Enabled edition and works simply by using your voice to lock or unlock your door or to check the status of it. 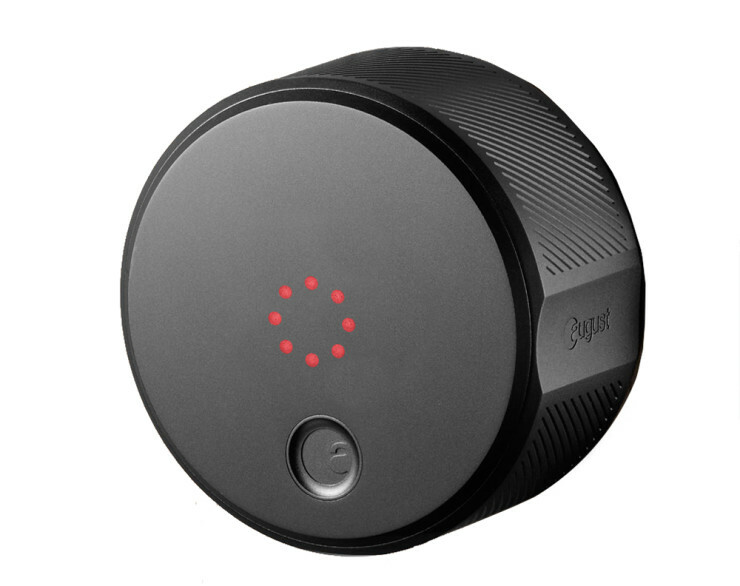 While the Smart Lock is compatible with both iOS and Android, it also works with the Apple Watch, enabling you to lock or unlock your door as well as check the activity log and get notifications on the status of your door. The devices are connected by Bluetooth so that the status of everything involving your doors syncs automatically with your smartphone. A little bit of positivity every day will go a long way. 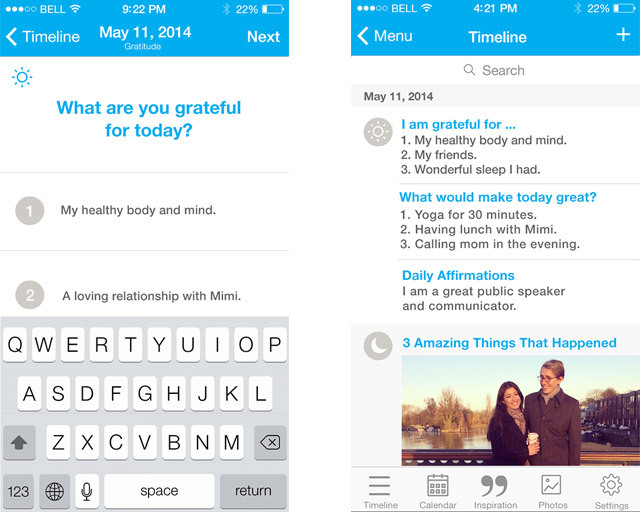 That’s the premise behind the Five Minute Journal app, which feeds you inspirational quotes and asks you to list down things you’re grateful for on a daily basis. You’ll also be asked to snap a photo depicting the highlight of your day, which can be a great pick-me-up when you’re down in the dumps or when you’re having an off day. You’ll be surprised at how moods and perceptions can change in a matter of five minutes. The app is available on iTunes for $4.99. By Hazel Chua on 01/22/15 • Leave a comment! Looking for a game to wean you off Flappy Bird? Then you should definitely check out Fast Fives. 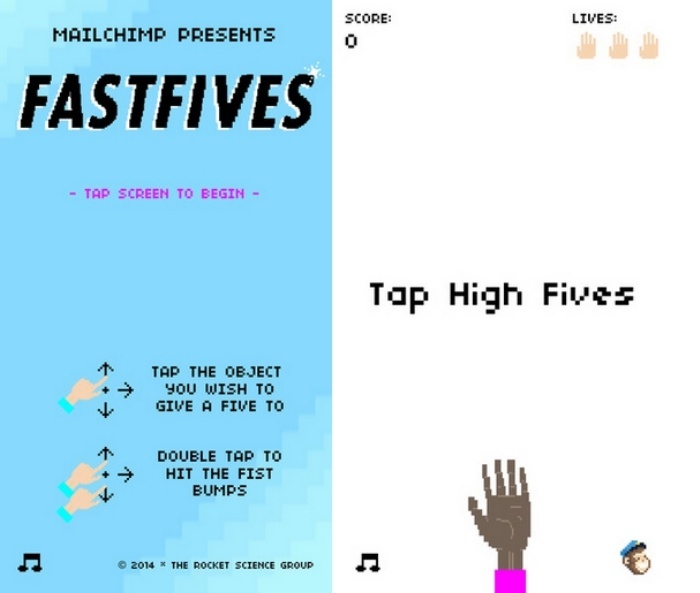 It’s a game that tests your hand-eye coordination in the silliest way possible. Basically, you give the virtual hands on the screen high fives (and low fives and side fives) as well as fist bumps if the virtual fists call for it. You’ll have to avoid blades, hot dogs, chicks, fish, and the occasional foot along the way, and the hands appear (and disappear) faster as the game progresses. You can give it a go here. By Hazel Chua on 01/16/15 • Leave a comment! Spam after spam after spam in your inbox? You probably don’t remember when (or why) you subscribed to some of those lists in the first place, but unsubcribing can be a pain sometimes. 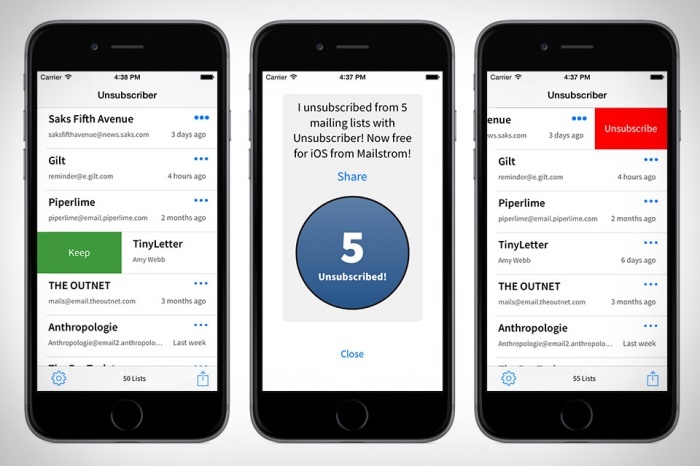 An app that can help you out is the aptly-named Unsubscriber. Just fire it up and log in to your Gmail accounts. It’ll parse your inbox and present you with a list of newsletters and mailing lists that you’re currently subscribed to. Then comes the easy part: just swipe left to unsubscribe and swipe to the right if you want to keep that particular subscription. Easy as pie. You can download Unsunscriber for iOS here. By Hazel Chua on 01/02/15 • Leave a comment! Catchy tagline, eh? It’s not your average dating app, but then again, if your criteria for choosing a partner lies mostly on their beards, then you don’t exactly have run-of-the-mill needs either. By Hazel Chua on 12/24/14 • Leave a comment! There, you’ll be able to log in securely and message or call your contacts using your number, even when you aren’t using your phone. You can hit snooze on your alarm, but you can’t exactly hit snooze on someone, can you? That’s what the developers of Wakie are counting on to make sure that you’re awake when your alarm goes off. 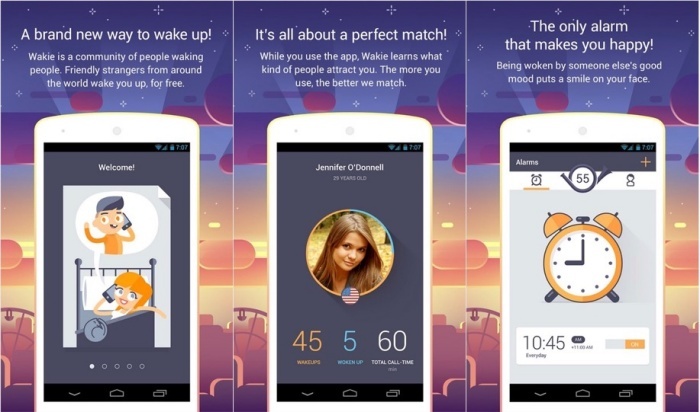 It’s an app that makes alarms social in the sense that it works by having a complete stranger give you a wake up call. Just set it up so that you’ll get a call at the desired time and go to bed. No contact information or numbers will be exchanged, and the call will automatically be disconnected after a minute to save everyone from awkward goodbyes. Wakie is available for the iPhone, Android and Windows Phone. Need to Get Someone’s Opinion? 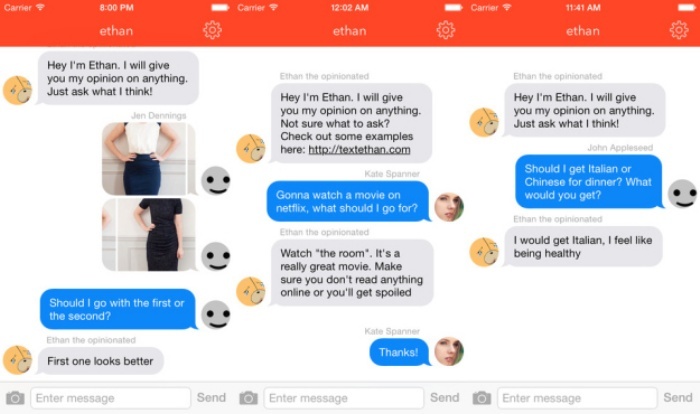 Get the ‘Ethan’ App and Ask Ethan! By Hazel Chua on 10/20/14 • Leave a comment! There are just some things you just can’t ask Siri–and for that, you’ve got Ethan. Think of him as the friend you never had, only cooler, because he created this awesome app (which he aptly named after himself) that lets anyone get in touch with him, anytime, anywhere. Ethan Gliechtenstein originally made the app so his friends could send him a message, but when random people downloaded the app and sent him a message, well, he didn’t disappoint. But then random people started downloading and I became sort of a virtual assistant at one point, finding music for romantic dinner or animes with dragons for them. Sometimes it’s hard because they keep asking me questions while i’m sleeping. That’s why I added the rules on the home page. I downloaded Ethan and sent him a few messages, just for curiosity’s sake, and got a couple of responses faster than I expected. You can get the app for free from the iTunes app store.